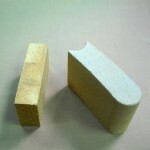 Behind Freeport Ladle Brick are years of experience and years of close cooperation with leading steel producers. 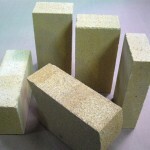 Our ladle brick are available in standard as well as special sizes in numerous qualities, ranging from 28% alumina content through 85% alumina content. 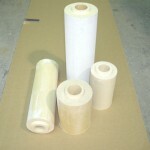 This is a quality 50% alumina mix available in our runners, sleeves, and nozzle products designed to give excellent resistance to chemical slag attack. This is an excellent quality 60% alumina mix available in our runners, sleeves, and nozzle products designed to resist severe slag attack. 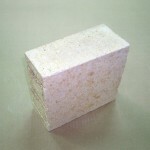 This is an excellent quality 70% alumina mix available in our runners, sleeves, and nozzle products designed to resist very severe slag attack. This brand has a high density and excellent thermal shock characteristics. KNC nozzles are designed and manufactured to meet customer needs in controlling flow rates of molten steel in stopper rod applications. 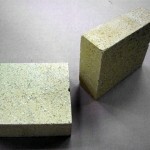 Our High-Alumina products evolved out of decades of experience in manufacturing Freeport Ladle Brick. 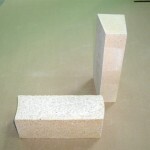 These products are available in various qualities containing up to 85% alumina.